Silsila Ishaan falls under suspicion. Pari requests Mauli to get Kunal for the picnic trip as well. Ishaan agrees to Pari. He tells her that he will not keep Kunal away from her. He knows Pari is missing Kunal a lot. Kunal gets a CD in Mauli’s drawer and thinks its useless. He is about to break it and something stops him. He checks it once to know if its really important. He gets to hear Nandini’s audio recording. He can’t believe what Nandini had told Mauli. Nandini gives Mauli the big responsibility of Pari. Kunal gets confused. Nandini’s audio troubles him. Mauli and Radhika witness the truth coming out. They get afraid for Kunal’s shocking reaction. Kunal confronts Mauli about Nandini’s voice in the recording. He tells Mauli about Nandini giving her daughter to her. He asks Mauli how can she hide such a big thing from her. He wants t know if Nandini has died already. He feels restless and asks him why did she hide about the truth. He tells her that they could have kept Nandini’s request and adopted her daughter to raise well. He wants an answer from Mauli. He wants to know about Nandini’s daughter. Radhika asks him to calm down and not take stress. He calls her a really bad friend. He tells her that they should fulfill Nandini’s last wish. Nandini is brought back to life by Radhika’s lie. Radhika tells him that Nandini is alive and raising her daughter on her own. He asks her about the message recording. Radhika tells her that Nandini had lost hopes to recover and sent this recording, but she has recovered well. He gets a big relief knowing Nandini is fine. He apologizes to Mauli for shouting on her. Mauli and Kunal share old moments again. They have fun time and share many laughs. Kunal gets happy to get his Mauli back. Ishaan calls her at the same time. Ishaan asks Kunal about the picnic plan. He apologizes to Kunal for calling at night. Kunal tells him that he missed a good chance of romance because of him. Ishaan invites him on the trip, since the girls want him to come. Kunal agrees willingly. Ishaan invites Kunal’s family as well. Kunal tells him that they will surely come if Mauli permits him. The kids enjoy the picnic with their parents. 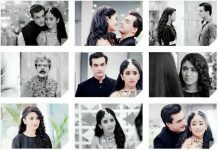 Kunal and Mauli’s presence gives them happiness. Kunal suspects something is fishy when Pari refers to Ishaan as uncle. He questions Ishaan. Ishaan makes a story to mislead Kunal. Kunal asks Ishaan to click his pictures with kids, so that he can tell Mauli that kids are a blessing. Ishaan clicks their picture, while Dida finds them a happy family. Dida wishes their family really forms up like this. Ishaan gets hurt seeing Kunal and Mauli romance moment. 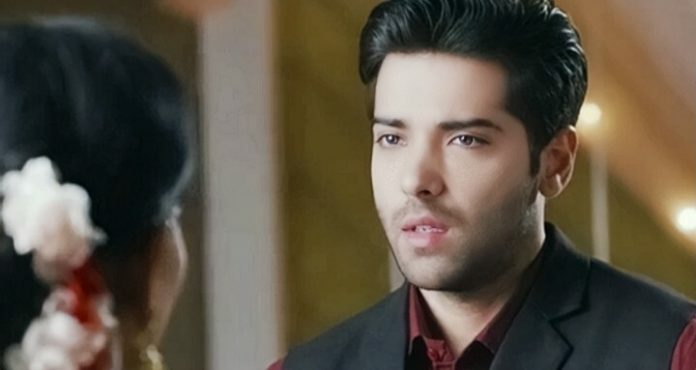 Kunal finds Ishaan too interested in Mauli and gets suspicious of their relation. He realizes that Mauli isn’t angry over Ishaan for the things he is finding weird. He wants to know what is Mauli hiding from him. How will Mauli and Ishaan explain Kunal the real scenario? Keep reading.